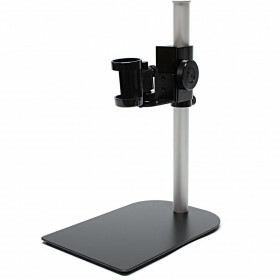 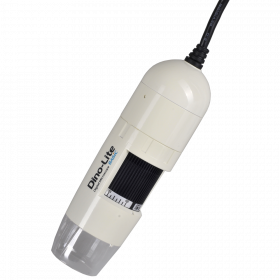 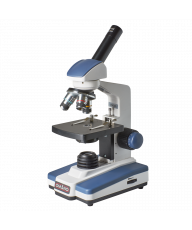 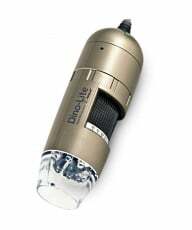 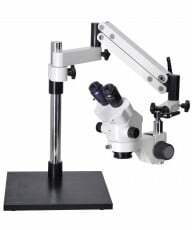 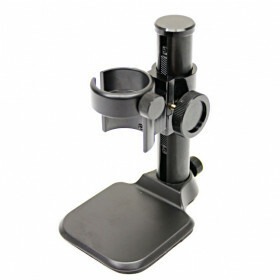 The Dino Lite MS33A Desktop Stand is a miniature version of the extremely popular MS52 articulating stand in that it gives the user a 360° range of movement as well as the freedom to move the microscope vertically and position it in awkward spaces. 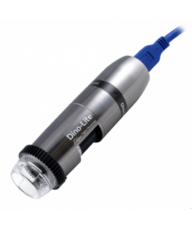 The metal arm joint can be angled into the position of your choosing and locked in place, holding your DinoLite steady and freeing up your hands for other tasks. 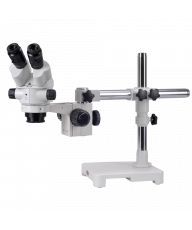 The flat, solid metal base can be clamped to the edge of a table for added stability and the rubber feet attached to the bottom of the base protect the surface of the table and dampen vibration. 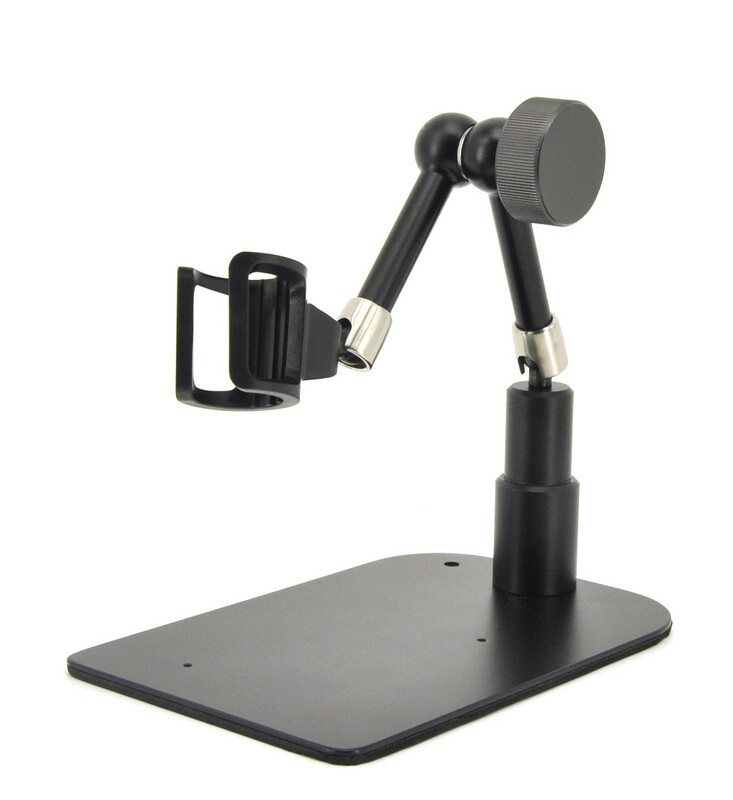 The arm extends to 9 inches and a holster is included.